This week has been downright explosive. So much news... Multiple convention schedules, new business opportunities, completed animations, a public demo that should be ready by Friday, and more. I even weeded out the fluff and decided on the 60 must-have ponies to put in the game. Let's just dive into it! Catch this crazy week in gamedev below the break! The Popular Posts Widget was acting up all week. It shows 10 posts despite me setting it to 4. Google searches get me zero solutions to this problem. Luckily, this thread I joined came up with one. I'm praying these don't take too long. Finalized List of All 60 Ponies For BGP and Where To Find Them. BGP's musicians deserve a cut of the profits for helping me with this small amount of experience. If this all works out, they'll be eager to get on board for future titles. The idea of running a big game studio (possibly even a remote one) excites me more than working from home alone forever. I just need to gradually grow into it. My goal with BGP is 50,000 units across all platforms. That'll pay for everything I need to move out with no strings attached. Getting this to work without crashing was my biggest accomplishment all week. I spent a lot of time next to a calculator this week predicting finances and organizing what stuff I need and when I need it by. All this leads to the number of people I have to convince to buy Battle Gem Ponies. Alongside that planning I went ahead and finally decided on exactly how many ponies to put in the final version and settled on 60. Each pony has a purpose and uniqueness that makes them all worthy of use in battle. 40 less ponies means 80 less full sets of animation to do (40 ponies and their ultra forms). "Over 100 different ponies" can still be used if necessary on technicality if you count Ultra forms, but I may just say "60 ponies to battle with!" and mention how most have ultra forms. This is a big step toward making things feasible. Logo formatting was a bit hectic this year for IRX. I'm confirmed to be showcased in the Indie Revolution Expo this weekend. There's no exact time where my game will be shown, but if you like indie games you can see the show schedule here. Panels are sandwiched between game exhibits, which is when you're likely to see me pop up (near the final quarter if the picture order is any indication. I'll be in the chat the whole time so I hope to see you there. Over 15,000 people know about Yotes Games on some level. Incredibly happy over 3000 people saw my game and the hosts liked it! 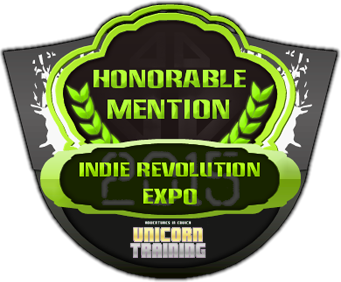 Unicorn Training demoed really well during IRX. Where I was expecting "Ew, ponies." I got "Looks like MLP but with badass lasers." and "It looks good for kids and adults". 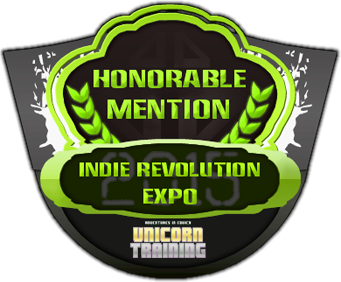 One of the hosts, @ReverendDS, even wanted to share Unicorn Training with his daughter. It was fun to watch and was a big boost to my morale, so a great thanks goes out to @IGRPodcast for putting the conference together. It feels good to hear from people outside of my circle of friends finding the appeal of cute cartoon horses doing awesome things. I just need to get my game in front of people. The BronyCon Schedule has finally released! Now I know when to be ready and how long I have to talk! I'm confirmed to have an hour long panel on the last day of the convention. It comes right after another turn-based RPG's panel (one I've seen at other conventions) so if anything, there's a crowd already warmed up and eager to see cool game stuff. I'll even get to relax after a weekend of anticipation with a much-needed chiptune lesson. Best of all, my panel won't conflict with too much else so attendance could be huge! My excitement for this news. 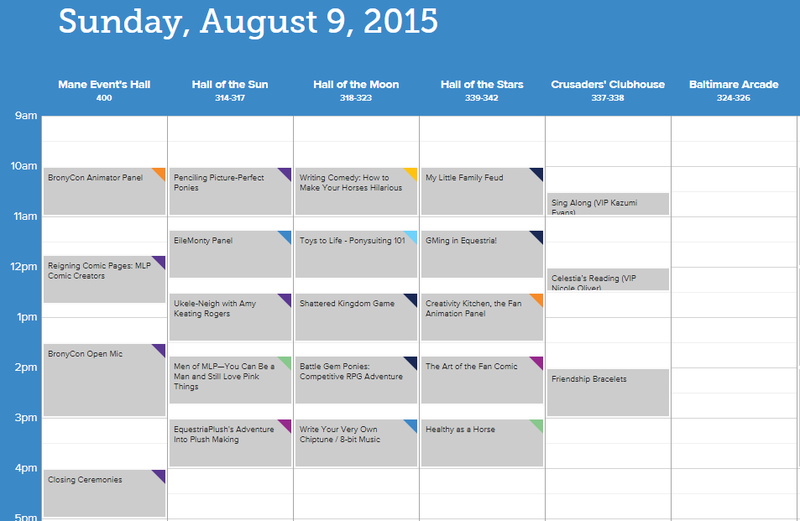 So my panel is going to be in The Hall of the Moon Sunday, August 9th from 1:45pm to 2:45pm. I'll be showing off designs for a few of the 60 currently planned ponies at that time as well as elaborate on my plans for the starter. This panel is going to be a big deal. Let the hype begin.